Most owners don't want to surrender their pet to a shelter, but they don't know what else to do. Now there are options! 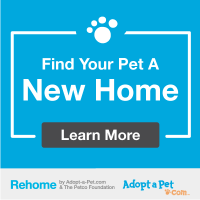 If you are trying to rehome a specific breed, you can also search the internet for breed-specific rescues in your area. Example: Laborador rescue NC, Siamese rescue NC. Please remember, all animal rescue organizations are not reputable. If you find an organization that you know nothing about, do a little research to make sure they're legitimate. You can check with veterinary clinics in their area, and also the Humane Society of the United States. You will be required to show your driver's license or otherwise provide proof of residency. Call the shelter for an appointment so staff/volunteers can make room for your pet. Normally the shelter can only accept owner-releases on Tuesdays and Thursdays. We are generally overcrowded and the number of animal intakes can vary greatly each day. Many days there is simply no kennel space for owner-releases. When you arrive at the shelter with your pet, please check in at the front desk so our shelter team can help you safely bring your pet inside. Please know we cannot guarantee your pet's adoption. Sadly, our small shelter receives an average of 7 new homeless pets every single day, primarily because folks won't spay/neuter. Despite our best efforts to rehome your pet, there are just too many adoptable pets & not enough placement options for them. Call your local vet offices for more info about options in your county. Do an internet search for animal rescue organizations in NC and surrounding states. Contact your county commissioners and respectfully request that they find funding for an animal shelter in your county.